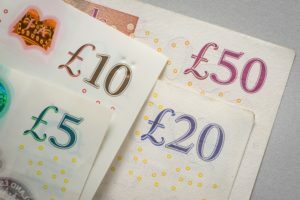 New research has found that the UK’s SMEs are exploring new sources of finance as access to funds becomes harder to secure. The research, carried out among senior executives and decision-makers in SMEs across the globe, found that despite the majority of UK SMEs saying that cashflow is important for the running of their business, nearly one third find it difficult to access the finance they need. The number of SMEs facing this challenge is up by 6% year-on-year, and in line with the global average. In response, the UK’s SMEs are moving away from reliance on traditional sources of finance, such as bank loans. Use of bank loans as a source of finance was down 20% (90% to 70%) between 2017 and 2018, and 43% of SMEs did not agree with the statement that ‘traditional banks currently provide them with all the finance they need’. Instead, SMEs are prioritising flexibility and ease when it comes to accessing finance – with flexibility of repayment options, low fees and ease of application ranking as the most important factors in their decision making. UK SMEs report a 7% increase in the use of existing working capital and a 13% increase in the use of peer to peer lending over the past year. American Express’ research found that while growing revenue remains the most important long-term goal for SMEs, they have scaled down both profit and revenue projections for the year ahead. Average predicted revenue growth for the next three years dropped from 7.7% to 5.9% between 2017 and 2018, and average profit margin is predicted to decrease from 6% in 2017 to 5.6% in 2018. This could indicate that SMEs are being more realistic about what they can achieve in the current climate. As UK’s SMEs are facing increased pressure to sustain their bottom line, access to cash flow has risen up their agenda as a business priority.